How do you create an ‘peace-themed’ audio guide with a group of artist-students for the Montreal Museum of Fine Arts’ Pavilion for Peace? This multimedia presentation profiles Six Tales of Peace (and War), which was created for a graduate seminar course in the context of a Concordia University-MMFA partnership. Kathleen Vaughan, faculty member behind the project, and Emily Keenlyside, doctoral student participant, will showcase the collaborative aspect of this curricular initiative; examine the transformative potential of embodied, sensorially rich audio-based engagement; and demonstrate how such an art museum learning tool can contribute to ongoing reflection and dialogue on contemporary questions of peacebuilding, healing, and connection. 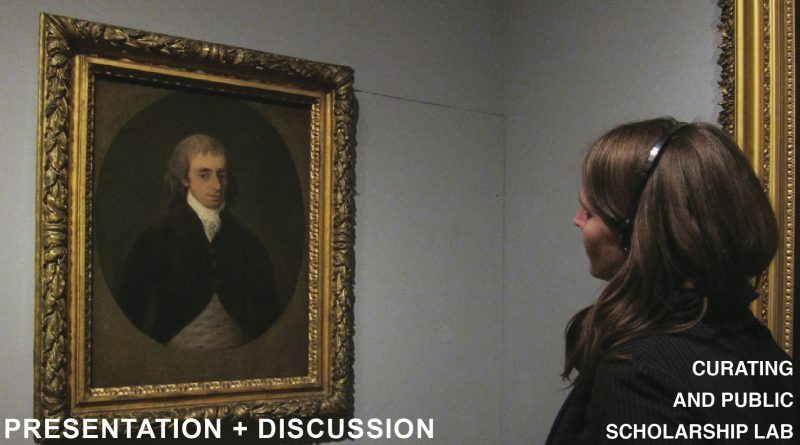 Emily will also describe her current exploratory action research project, which examines to what extent critical skills-based training can effectively equip art museum guides to confront mis and under-representations, question dominant narratives and address difficult knowledge with their groups. The Curating and Public Scholarship Lab (CaPSL) is regrettably not wheelchair accessible. There is one small flight of stairs leading to the entrance of CaPSL but otherwise, the 6th floor of the Library building is accessible by elevator. To raise other accessibility requests or questions please contact Alex by email at alex.robich@gmail.com.